As long-standing practitioners of the South-South Cooperation, SESRIC and IICPSD aim to further enhance their cooperation towards the role of private sector in engagement and development via the signing of the MoU. The partners also target to extend the implementation of their jointly developed best practices guidelines and toolkits to engage the business community and other relevant actors in skills development in the OIC member states. One of the substantial working areas of SESRIC is building resilience through increasing employability, employment and entrepreneurship ecosystem while enhancing competitiveness and productivity of the private sector and industry. 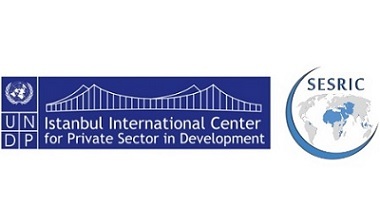 In this regard, the Centre works with its partners on major initiatives such as the Skill Development for Youth Employment (SDYE), Employment, and Vocational Education and Training Programme for OIC Member Countries (OIC-VET), in order to enhance job and livelihood opportunities in its member countries through increasing public-private partnership and supporting the private sector in skills development. IICPSD supports the private sector and foundations to become transformative partners in development through research, advocacy for inclusive business, facilitation of public-private dialogue and brokering partnerships. IICPSD, established in 2011 in partnership with the Government of Turkey, is one of UNDP’s six Global Policy Centers. It leads UNDP’s global work on private sector and foundations and supports UNDP’s offices all over the world.